Keyboards click away as a small team of software programmers devise intricate lines of code that will create another computer application for far-flung clients in the global economy. The digital world may have banished geographical boundaries, but not all outsourcing projects are located thousands of miles from Europe. The work that will allow Lloyds Register to sell on a new maritime maintenance service is being carried out in Malta, an island nation of 400,000 people that joined the EU in 2004 - and is winning work due to corporate disillusionment with the trend towards outsourcing such projects to Asia. 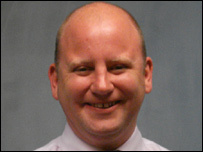 Grant Macleod is a project manager with Lloyds Register in London. Getting computer projects signed off and delivered is his job and he has a £10m ($20m;15m euros) budget to spend on it. Lloyds Register joined the global outsourcing vogue when it shifted work to India and the Philippines earlier in this decade. But over the last two years 40% of this budget has returned to Europe as Lloyds Register transferred vital coding from Manila to Malta. The problem, Mr Macleod admits, lies in the language. "English is widely spoken but not widely understood," he says. The Maltese speak English and their own language, which has its roots in Arabic and romance languages. 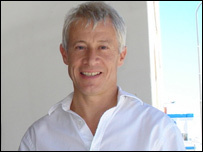 Mr Macleod's decision to move work to Malta was based on an equation of time and quality. Money matters, but a cheaper location can cost more in the long-term. Farming work out to locations on the edge of the EU has generated a new piece of business jargon, "near sourcing". "Malta is not cheaper than the Philippines, but here we have complete predictability. And if a project slows up because we cannot communicate properly with staff in Manila then it can cost us more anyway," says Mr Macleod. The high retention rates of businesses on an island with a limited number of high-tech employers also appealed to Lloyds. And having one of the world's biggest natural harbours at hand matters if you're in the shipping business. Other UK technology companies are now following suit. The Indian technology boom had prompted Crimsonwing to move a chunk of its business to Chennai (formerly known as Madras). "What happened was that we lost control of things. There was a lot of attrition among the personnel," says David Walsh, Crimonswing's chief executive. Seeking names and faces that would remain in place, Crimsonwing opted to relocate the work to Malta. Mr Walsh admits that his criteria for selecting Malta was not the stuff of business school MBA courses. "I didn't do a massive exercise in analysis; it was a decision that came from the heart. The labour rates here are one third of the UK, there is a keen workforce and it's three hours from London," he says. Salaries in Malta are low by EU standards. A computer programmer with 5-10 years experience can expect to earn £12,500-£15,625 per annum. Walsh's employees are a mix of native Maltese and British IT staff lured by a Mediterranean lifestyle. "A good apartment can be rented for £5,000 a year and personal taxes are lower than in the UK," says Mr Walsh. Joseph Sultana, managing director of local software house Ascent, works for a variety of clients who have abandoned the Indian outsourcing model in recent years. He knows that the Indian model has its attractions. "Offshoring IT development works for people who need large numbers of staff working on a project." 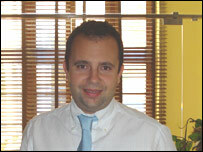 Mr Sultana is precise about where Malta's near sourcing proposition fits in. "Let's be very clear about this, here in Malta we can't turn around and offer you a 200-strong development team overnight. But we can deliver consistent quality. " "We have no oil, no grain, and no minerals" says Mr Sultana, "all we have is people." 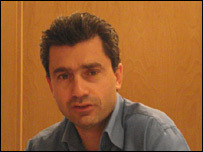 Claudio Grech, first secretary at Malta's Ministry for IT & Investment, wants to expand that part of the economy. Mr Grech says that attracting more IT development will create better-paid jobs, by local standards, and also draw in a better class of corporate company. A high-tech theme-park, the SmartCity project, is taking off with $300m backing from Dubai's Tecom group. Mr Grech knows that putting Malta on the map is a challenge in an technology industry dominated by billion-dollar players. "It is tough for a small country to knock on all those doors." Ricasoli, a former industrial zone on a neglected promontory overlooking the Grand Harbour, is the SmartCity site. 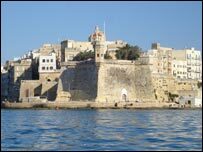 Just across the water from Valletta, it is perched above the area known locally as The Three Cities. The Maltese are hoping that Ricasoli will host a cluster of technology firms that can cooperate across business boundaries. However, Malta is not the only EU country where "near sourcing" is taking place. Indeed, many Indian outsourcing companies are setting up subsidiaries in Eastern European countries like the Czech Republic. But Malta may be able to capitalise on the reaction against outsourcing that is sweeping businesses across Europe.